Well, F/SN aired back in 2006, so I am not sure if I should call it “end of season”, but I figured I’d stick to convention. 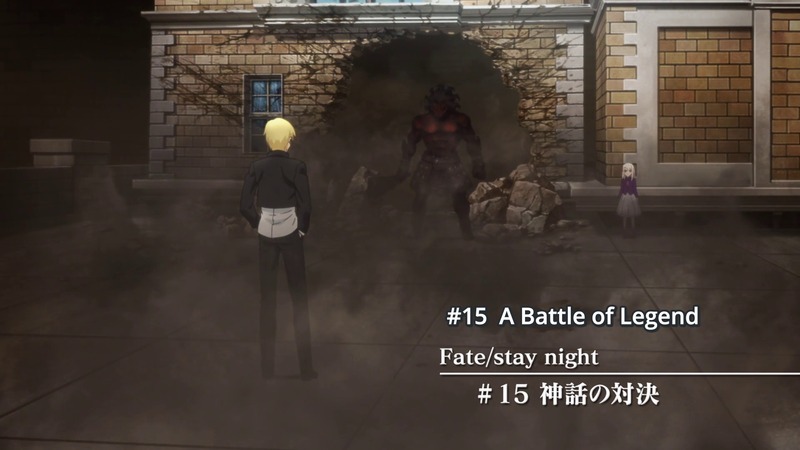 I recently stumbled across the Archer vs Berserker fight on YouTube and as bad as the fight was, the music in it got me interested in the original Fate route adaptation. So, I decided to watch it. It was surprisingly all right and not as bad as everyone had lead me to believe. It still had its fair share of faults though. This is one of those incredibly iconic anime shots. 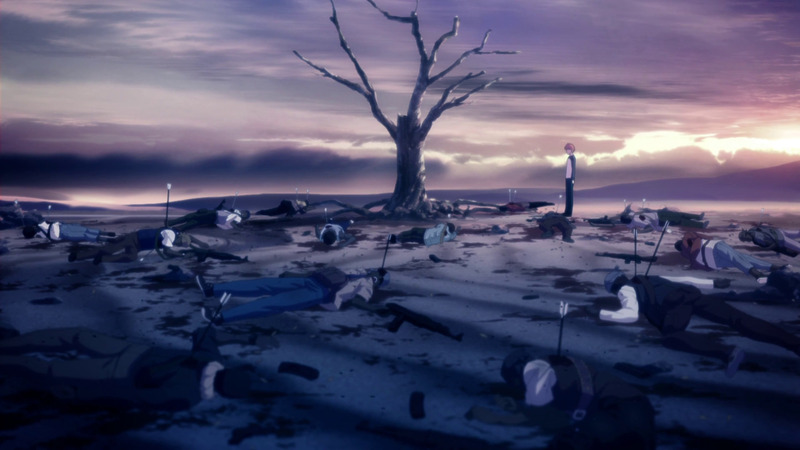 Fate/Stay Night Unlimited Blade Works episode 20, appropriately titled “Unlimited Blade Works” is arguably the most pivotal episode of the series. 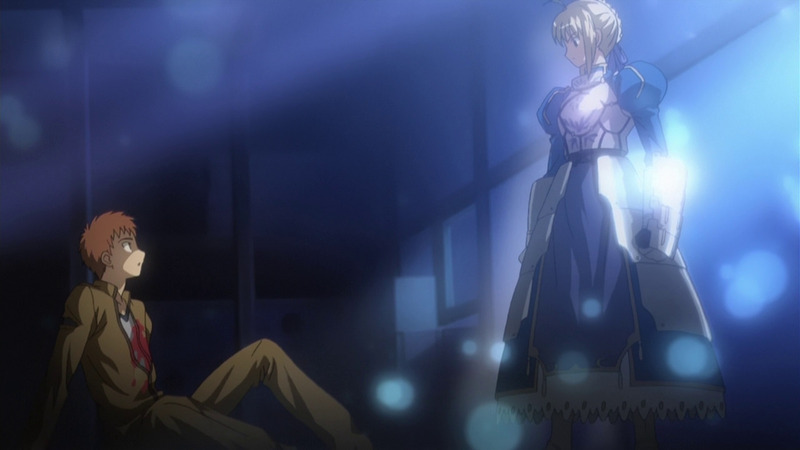 The central conflict at the heart of Emiya Shirou’s suffering comes to a head as he battles with Archer. I will do my best to talk about this most anticipated episode in a reasonable, hopefully mature manner. I am sorry this post is coming a week late (episode 20 should have already aired). To be honest, most of it was already done a few days back. I thought I wanted to publish a different post first, but changed my mind. 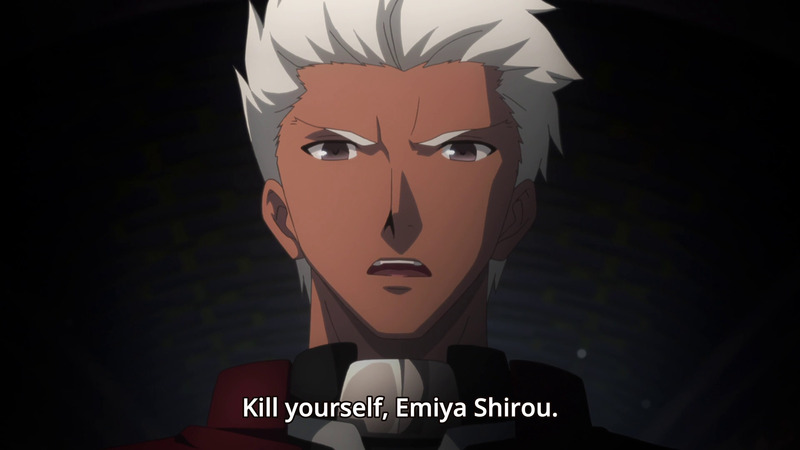 Anyway, this time around, we learn that Emiya Shirou is a stubborn mule without a modicum of common sense and he can’t see the world anyway other than his own. Oh wait, we already knew that. 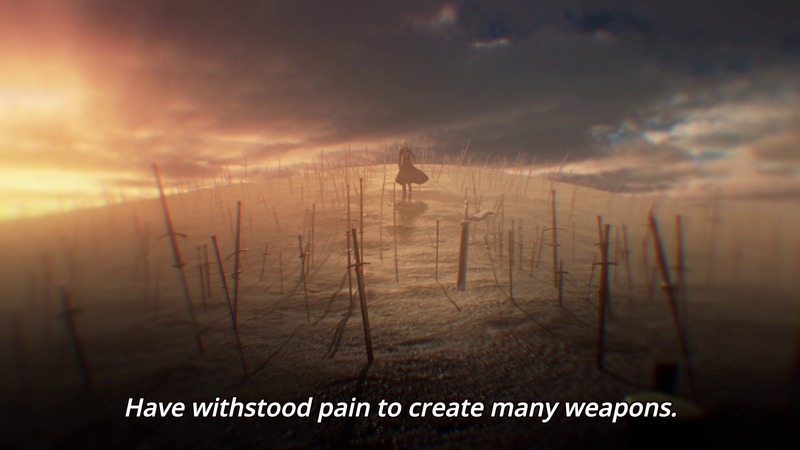 The 15th episode of Unlimited Blade Works had quite the impact on me, so I figured I should make a short post. Do note that there will be some minor F/Z spoilers in here, so if you haven’t seen it then don’t read on (but in all honesty, the spoilers are very minor).